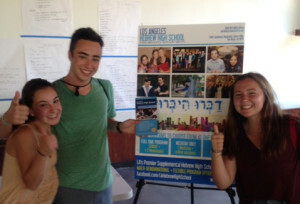 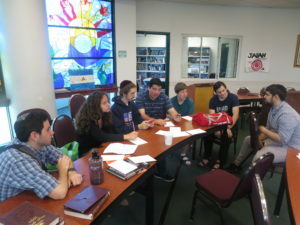 Los Angeles Hebrew High School (LAHHS) is the premier flagship school that provides Hebrew language instruction and Jewish education to non day school Jewish teens in grades 7 – 12 throughout the entire Los Angeles Jewish community. 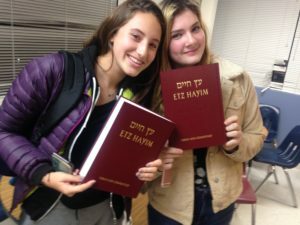 A community school, LAHHS offers courses that combine in-person learning with supplemental virtual classroom online sessions in order to fit the busy schedules of as many local Jewish teens as possible. 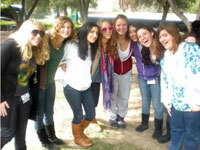 As a WASC-accredited supplementary program, LAHHS offers its students a true academic experience that offers high school foreign language credit in a relaxed and social setting.